It seems that people are hungry - but it is not their bodies which are hungry - it is their spirits. The hunger of the spirit is just as real and just as compelling as the hunger of the body. Like the body, the growth of the human spirit towards full maturation is a natural process. When something is needed, we feel it. When it is time for a new phase, it begins to happen. Our soul's hunger is best fed from within - by discovering new dimensions inside ourselves. Spiritual exploration is about discovering the place for real and deep contact with ourselves. Question 1: What is ‘Spirituality’ Anyway? According to some, spiritually means, quite simply, waking up. Waking up to what? Maybe waking up to a bigger reality beyond our small human lives. The reality we know is the one we live in, consisting of concrete matter and a web of relationships on a variety of levels. We learn about ourselves and the world from messages we have been given by everyone with whom we have been in contact; from actions we have done and their consequences; from experts who appear to know more than we do. So maybe spirituality is about stripping the layers of learning so that we can uncover a deeper ‘self' - a self that we are not quite in touch with at the moment. There are growing numbers of people who are leaving organised religions for a variety of reasons. Sometimes it is because they find that they can no longer subscribe to a fundamental belief or particular dogma. Other times it is because they take issue with the church leaders and the man-made structures which inhibit rather than enhance their own spiritual development. there is something bigger than ourselves to which we are connected for which we might use a number of names including God, Spirit, Divine presence, Oneness, energy, light etc. Question 2: Why is the Spiritual Self Important in Our Everyday Functioning? Spirituality is not something that exists with no connection to our physical, mental and emotional selves. Our spiritual self is the doorway to our authenticity. Our spirituality gives us our foundation for great meaning in our lives and enables us to stay in balance and peace even while we are busy with the practicalities of life. It’s really hard to write anything using the word spiritual which doesn’t sound either fake or patronising. In cosmic terms we are specks of dust in a hurricane but that doesn’t mean we shouldn’t engage with everyone, on every level, as much of the time as we can. Spirituality is not something to dress up in – we need to live from the inside out and if we can do that then we need not use the word spiritual at all actually! Question 3: What is the Difference Between Spirituality and Religion? Religion is very meaningful to some people who like the dogma and fixed boundaries. People who attend services and ceremonies as part of their religious tradition experience a sense of community and connectedness with those who are following the same path. However, those who have left a particular religion often miss that aspect of joining together with others to celebrate events and sing and pray together. Still others, who have no wish to join an organised religion, would like to mark particular occasions in their lives with a sacred celebration. Or would like to be with others who have come together to read or meditate around themes like reconciliation or forgiveness or healing. Spirituality is about the search for, and connection with the deepest part and the highest part of ourselves. It is a personal journey to the Divine. I have been on my own personal journey for many years and it is my honour and delight to accompany others on their journeys as their Spiritual Director or Workshop Leader. Where Do You Hold Your Spiritual Exploration Workshops? All my workshops are held in my home in Connemara, Galway in the West of Ireland. These workshops will explore the nature of spirituality, provide an opportunity to learn new concepts and help people to integrate head and heart thinking. The workshops are experiential and reflective. Work will be carried out individually, in pairs, in small groups and as a whole group. There will be a range of self-reflective exercises, experiential and personal transformation activities, practical exercises, meditation techniques…and fun!! I am also available for private spiritual coaching sessions. is spirituality different for everyone? what does 'living in the now' really mean? how can I bring spirituality into my everyday life? how can I stay peaceful when my relationships are so stressful? can I still be spiritual if I'm not even sure there is a God? Before the workshop, delegates will be sent some preparatory questions to think about. They will be invited to share their answers in groups at the beginning of the day. Contact Geraldine to get more information and express your interest. — Neil Espin, Managing Director, CECO. Cindy has identified 21 skills of SQ relating to Self Awareness, Universal Awareness, Self Mastery and Social Mastery/Spiritual Presence. These skills point the way towards how we can learn to live a more fulfilled life. Get some new tools to sustain you on your journey to your Highest Self? Everything done in the workshop will be related to developing one or more of the SQ21 skills. The emphasis will always be on the practical application of the 21 skills of Spiritual Intelligence. After the workshop you will have the option of taking an online assessment of your SQ skills and receive a 20 page report showing you specific ways in which you can develop your Spiritual Intelligence. This workshop will help you to find new meaning in your life, your work and your relationships. You are an experienced life coach, or business coach or executive coach but do you know how to coach someone who has spiritual questions and concerns? G is for Goals........but what about the tension between ‘being' and ‘doing'? Suppose people are seeking to be in a state of non-attachment to outcomes - what does a goal look like in that case? R is for Reality......but there is a difference between the truth of the situation and what we perceive to be the truth about the situation. And often people do not realise that by changing ourselves and our perceptions we can bring about a dynamic change in a relationship or conflict situation. O is for Options......but suppose the options are not about doing something differently but about thinking and believing differently? And what would success look like then? W is for Willingness........and our ego will fight every step of the way to keep us in our fear - a fear that will keep us separate from others. What Extra Skills Do I Need? Spiritual Coaching reaps dividends for both coaches and coachees. For the coach, there is the opportunity to connect with their own spirit, increase their own spiritual awareness and connect with people at a deep level. For the coachee, there is the opportunity - and permission - to see themselves in a new way - as whole and healed and worthy and unafraid. And who among us doesn't want that! Contact Geraldine if you are interested. Geraldine is available for working with individuals as a spiritual coach. This can be done in a one day intensive at her home, or as a half day initial session with telephone and email follow ups, or as a series of telephone or Skype conversations over a four week period. Remind me What Life Coaching is? Coaching is gradually being accepted as a process for helping individuals who are at a particular crossroads in their lives. Their issue may be a personal one (I want a new image; I need to have a healthier life style; I want to improve the relationship with my mother.....) or it may be a career one (I want to change jobs but I'm not sure my skills are transferable; I want to get promoted but I feel I am always being overlooked......). In fact, there might be any number of reasons why people seek a coach. The coach will work with them one to one, either face to face or over the telephone, and in an agreed number of sessions (maybe four in the first instance) will help their client to set goals and identify steps that will help them to reach their goals. Is Spiritual Coaching different Then? Spiritual Coaching is a relationship we enter into with the purpose of helping ourselves and others to connect with our own spirit so that we can more easily connect at a deeper level with those around us. 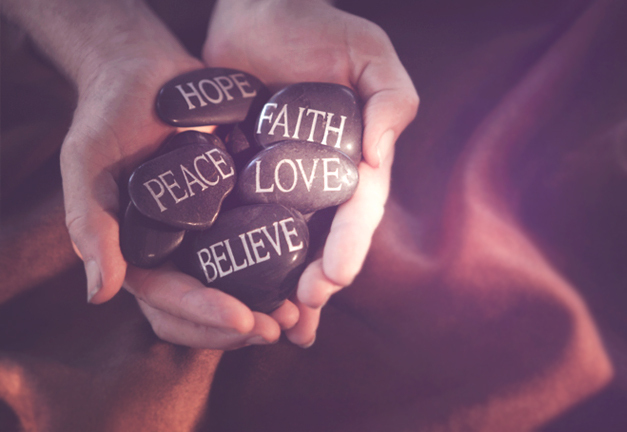 The aim of Spiritual Coaching is to help people connect with their own inner strength, wisdom and spirituality, whatever their beliefs. In a safe space of complete acceptance, the Spiritual Coach will assist people in gaining clarity and peace, and in gathering the inner resources they may need to take the next step forward in their life. Spiritual Coaching will help people to come to know themselves as whole and complete and totally acceptable. The role of the Spiritual Coach is to see the client as just that - to hold the vision for them - especially at times when they can't see that for themselves. By holding this sacred space, the client can enter into a deeper experience of and relationship to the Divine in their life until such time as they are able once again, to create that space for themselves. Spiritual Coaching (in line with any other coaching) is not a replacement or substitute for traditional psychotherapy. But if we feel that we are out of our depth at a certain point in our lives, then Spiritual Coaching might help. Spiritual Coaching may involve looking at negative patterns the client is experiencing and helping the client to move through and beyond them by employing metaphysical or spiritual perspectives and tools to shift perceptions, thought patterns and beliefs, which will help to change the client's experience. Each client's unique spirituality and/or religious tradition will be honoured. It is not the job of the Spiritual Coach to impose their own spirituality or viewpoint onto others but to help guide the client to connect with their Spirit in a way that is authentic to them. The major benefit of Spiritual Coaching is the dawning of a more personal, direct and intimate experience of Spirit - however Spirit is perceived. There is a sense not only of emotional healing, but of coming home to one's true self. Thus the Spiritual Coaching approach empowers people in turning to Spirit as the strength within them and learning to trust it as the rock upon which to walk through life. Why Do People seek Spiritual Coaching? They have identified that there is another part to themselves apart from the physical, emotional and mental, which they have named as spiritual, but they have no idea how to access this part - or what to do with it when they have! Contact Geraldine if you are interested in booking a private spiritual coaching session.